I’ve been quiet this week as I prepare for an apartment move within my city tomorrow, but wanted to be sure to share this fun giveaway with you today to show how much I still love you despite my random blogging schedule lately. 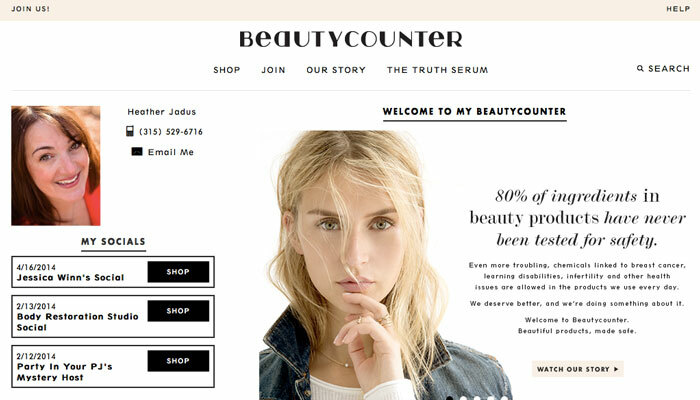 The sweet Heather Jadus, an independent consultant with Beautycounter, has teamed up with me to offer a $50 shopping credit on her Beautycounter site. Time to scoop up a new face oil / lipstick / shampoo / body oil? Ready to enter to for a chance to win? Use the Rafflecopter widget below to get take advantage of all the ways to get your name in the drawing! Giveaway begins Friday, February 14, 2014, at 12:00 a.m. Central Time, and closes on Friday, February 21, 2014, at 12:00 a.m. Central Time. 1. No purchase necessary. A purchase does not improve your chance of winning. Void where prohibited. 2. Entrant must be 18 years old as of sweepstakes start date and a legal resident of the 50 United States and the District of Columbia as of start date. 3. Sweepstakes begins Friday, February 14, 2014, at 12:00 a.m. Central Time, and closes on Friday, February 21, 2014, at 12:00 a.m. Central Time. 4. Each entrant selected as a potential winner must comply with all terms and conditions set forth in these Official Rules, and winning is contingent upon fulfilling all such requirements. Winners will be selected by random drawing. If a potential winner cannot be contacted within fourteen (14) days after the first attempt to contact such potential winner, an alternate entrant will be selected in his or her place from all entries received. 5. Sponsor(s) is/are not responsible for lost or mutilated prizes and none will be replaced. Prize is nontransferable and must be accepted as awarded. No cash or other substitution may be made, except by Sponsor(s) in the event that the prize cannot be awarded for any reason, in which case, Sponsor(s) will award a prize of equal or greater value. All taxes, fees and surcharges on prizes are the sole responsibility of winner.